Rise Africa UK was established to equip the most vulnerable and disadvantaged children in Tanzania with an education, offering them sustained self-sufficiency and the means to escape the vicious cycle of poverty. Angie, Molly and Ben King organised the most fantastic Andy King Memorial Football Tournament, and they decided to donate the money that was raised to Rise Africa UK; Andy was a great supporter of our work and would be very happy. 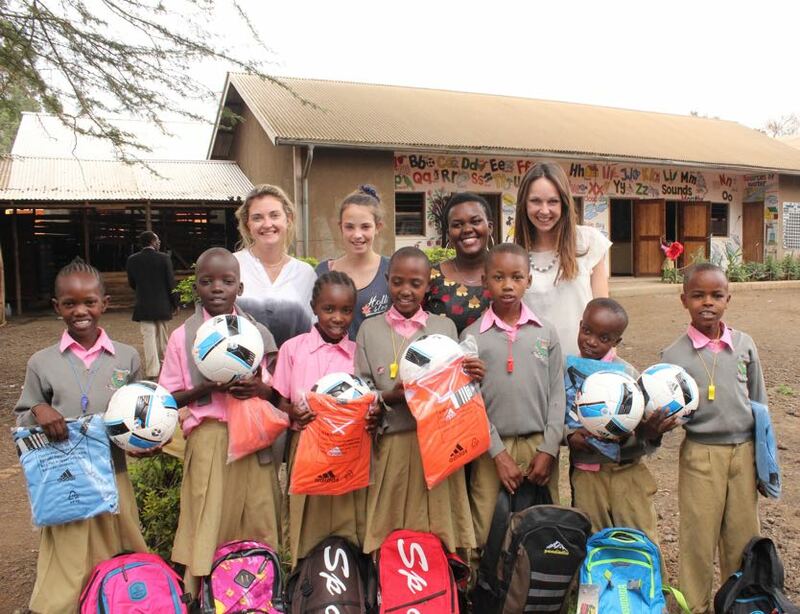 Thank you to the wonderful King family, with the money raised we were able to buy all of our 80 children, sponsored through Rise Africa UK, a football and football strip to have and play with at home. We went to the best quality football store in Arusha to make sure that the balls don’t break after a week, we bought 80 footballs and strips, as well as 10 football pumps, and received 80 whistles for free. We then squeezed into the car and then back at the lodge we pumped them all up. We delivered them to the children at school. It was such a great experience giving them all out, all the boys and girls were so excited and happy! It’s the only sport they play out in Tanzania and so boys and girls alike were over the moon, especially to have something to play with at home. The children in the village don’t have any toys at home and so this made them so happy. Rise Africa UK © 2019. All Rights Reserved.